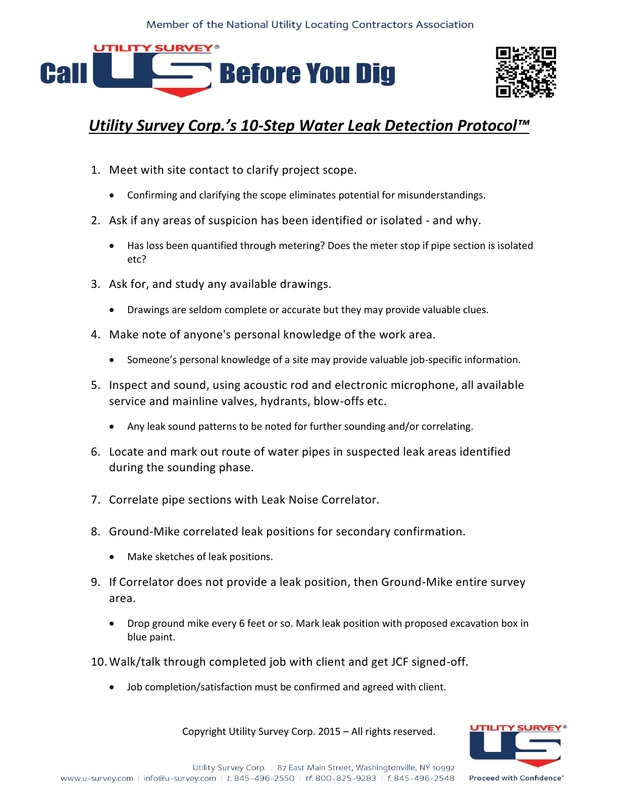 Water Leak Detection NY NJ CT PA MA | Utility Survey Corp.
hidden leaks that cost you money! If you suspect there is a leak along a water pipe, you don’t have to dig everywhere to find out where it is. Utility Survey Corp. has a systematic approach for pinpointing hidden water leaks without breaking the ground. Utilizing both conventional acoustic listening devices and the most advanced leak noise correlation computer systems, our highly skilled and trained technicians can accurately pinpoint water leaks on all types of water systems and pipe materials. Water pipe leakage can be caused by many reasons. Metal pipes corrode due to age or acidic soil conditions. Pipes, both metal and plastic, that are not so old can crack due to movement or misalignment stresses. Whatever the reason, water leakage is the cause of serious loss, both in water volume and cost. Not all water leaks are as obvious as major plumbing disasters. It’s often those quiet small leaks which don’t attract your attention immediately could cause long term damage to your property and health. 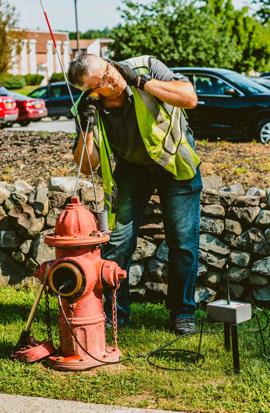 For water lines within commercial and private property or water mains in public highways and streets, we have successfully completed hundreds of leak detection projects. Give us a call! How is Water Leak Detection done? Water leakage occurs in all underground public and private water supply systems. They happen for a number of reasons. Metal pipes corrode due to age or acidic soil conditions. Pipes, both metal and plastic, that are not so old can crack due to movement or misalignment stresses. Whatever the reason, water leakage is the cause of serious loss, both in water volume and cost. Structure damages and mold problems caused by long term water leakages could also lead to costly property damage repairs and health issues. There is also the possibility of ground subsidence and sinkholes appearing. Some leaks are obvious, such as in the situation of leaked water surfacing on the ground. Unfortunately, many leaks go undetected for years because there are no visible signs of water evident as gravity plays its part and pulls the water down into the ground. Successful water leak detection is the ability to accurately and non-intrusively pinpoint hidden leaks occurring on underground water systems. This is achieved by the use of the most advanced leak noise correlation computer systems. The acoustic-based correlating method of leak detection uses the principle of detecting noise produced by leaks to accurately pinpoint their location. Generally, the leak detection system is used by attaching two sensors to network fittings or the surface of any pipe and then using the software to correlate the data. The system has two transmitter modules to relay the data from the sensors, as well as a receiver module to retrieve the data and interface with the software. 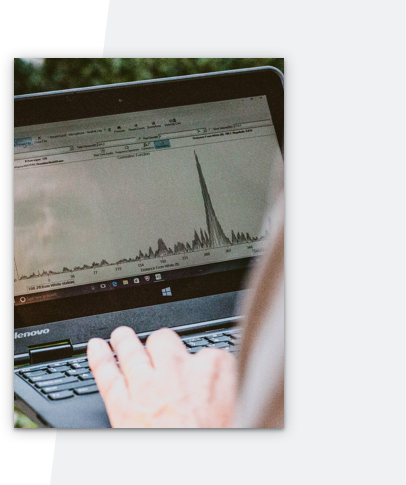 The correlator then analyses the signals and determines where potential leaks are located. Utility Survey Corp. has a systematic and measured approach for pinpointing hidden water leaks. Utilizing both conventional acoustic listening devices and the most advanced correlation computer systems, our highly skilled and trained technicians follow our proprietary 10-Step Water Leak Detection Protocol to accurately pinpoint water leaks on all types of water systems and all pipe materials. From the water lines on commercial and private properties to the public water mains that lie beneath our residential streets, we have successfully completed many hundreds projects both large and small. It can be costly, dangerous, and futile experience to randomly to dig around to try to find a leak location. You may break other underground utilities such as electrical power and natural gas lines during the process. Before you break the ground or make the hasty and expensive decision to re-pipe your water system, give us a call so we can find the leak for you. 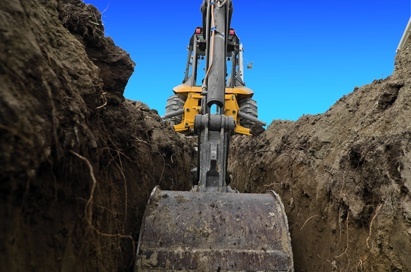 We can also conduct underground utility locating so you know where the utilities are before you dig! Metal pipes corrode and deteriorate due to age or acidic soil conditions. Pipes, both metal and plastic, that are not so old can crack due to movement or misalignment stresses. I am not even sure where the water pipe is, can you still locate water leaks? We can locate the water pipe for you first. All of our technicians are well trained in underground utility locating and well equipped to locate water pipes. What makes you different from other water leak detection companies? All of our technicians are trained to follow our proprietary "10-Step Water Leak Detection Protocol™". It has been tested on numerous projects, refined where required, and have successfully proven to reduce water leak costs for our clients. All this brings to our clients a service we believe is second to none. And - we’re very proud of that.